A few months ago, I wrote a blog post that gave you a brief look into what my chiropractor had discovered in my arm, but what I didn’t share was that just prior to that I began having ocular migraines, bell’s palsy in my face, and numbness down the right side of my neck and right arm. After seeing medical doctors who wanted to prescribe medicine for my migraines and muscle relaxers without being able to tell me “why” they started and increased in frequency so quickly, I turned to the chiropractor and put my trust in him when he was able to look at my X-ray and show me why this was happening! I breathed a HUGE sigh of relief, but that was just the beginning of my journey. I get it. It’s not ideal to sit like that^, is it? 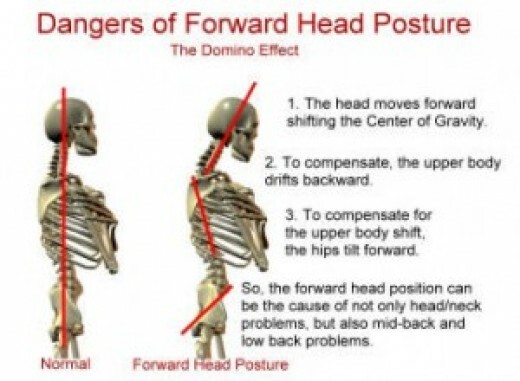 So how can you combat the aches and pains that having poor posture creates? A great place to start is by doing a few simple stretches. I will share with you a few of my favorites, but if you’re having a lot of discomfort, I urge you to visit your chiropractor or physical therapist to get a plan that is tailored to your specific needs. Stretch #1: Cervical Spine Corner Stretch^^~ A basic exercise that is important for stretching the chest and shoulder muscles is the corner stretch and it is done…in a corner of a room. Lean in as far as possible without pain. You should feel a stretch in the front of the chest and shoulders. Hold the stretch for about 20 seconds. Repeat 3-5 times. Roll a small towel and place it at the base of skull and upper neck. 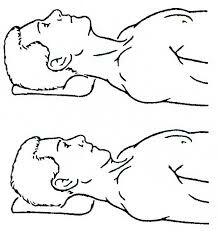 Gently tuck your chin until you feel a stretch at the base of your skull and upper neck. Hold 5 seconds. Relax. Repeat 5 – 10 times. Stretch #3: Thoracic Self-Mobilization ~ Another quick and easy stretch to help combat your posture from crocheting. Roll a small towel, sit in a chair and place the rolled towel at your upper back (at or just below your shoulder blades). Gently lean back until a stretch is felt. My 2nd favorite tool is this Shiatsu Back Massager, which is also available through our sponsors. Oh is this thing heavenly!!!! I can position it all around my shoulders, neck and back. I love how easy to position and use it is. It helps to loosen tight muscles…another culprit in neck and back pain! I think that’s enough information overload for today. Keep your eyes peeled in my Facebook Community or on my Facebook Page for a giveaways and more! **Take a Free Class with our affiliates! « How to Make Faux Fur Poms using Fur Yarn! Thank you for sharing your story. I currently do not do any stretches, but will now. ? Thanks for sharing your story Jennifer. Thanks for the giveaway. I really don’t do any stretches, but I am going to start now. Thanks for the excersices. I lay across my bed and put my upper half slightly off the side and reach my arms out and down. It seems to help my neck and shoulders. Thank you for sharing your stretching tips, and your journey! 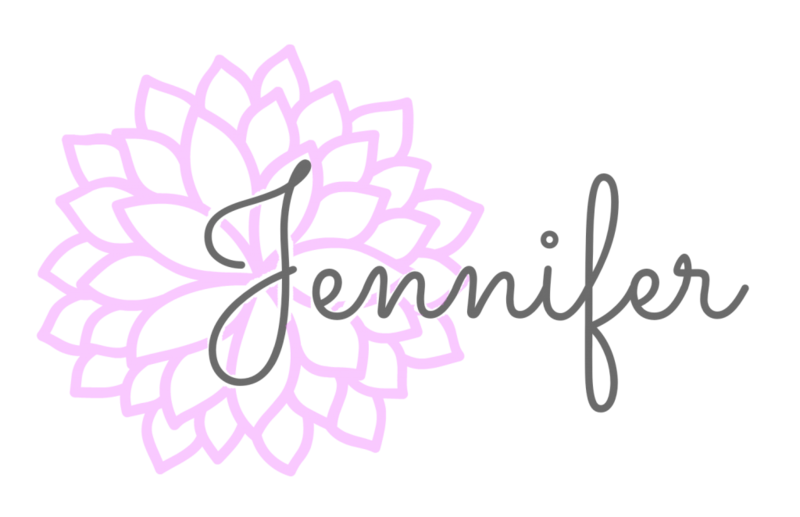 Thanks for sharing your story Jennifer. I also use the Cervical Corner Stretch and the Subocci..subocci…yeah..that one where you tilt your head! 😀 Love your patterns and appreciate all the work that you put into them for us! Mainly I have problems with my lower back so I do some leg raises and hip stretches. 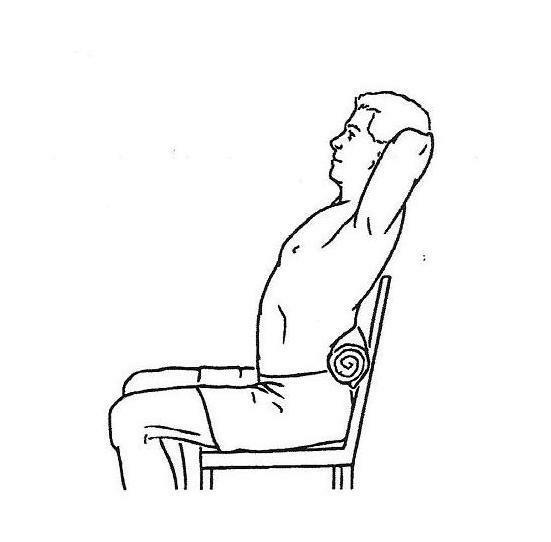 I have multiple stretches that I use for my posture, hands, and wrists. I live with undifferentiated connective tissue disorder, meaning my immune system mistakenly attacks my healthy joints, so I have to be far more careful than most about how I treat my body. My doctors have recommended several sets of stretches from the Anderson Stretching Book. They’d love it if I’d give up crochet for the good of my hands, but it’s what keeps me sane through my multiple chronic illnesses. I need to do stretches! I often have to lean my head to one side to stretch out my neck, so that I don’t get locked in position. You are inspiring us to stretch more! My favorite stretch starts with hands and bent elbows held up at shoulder height, then bring the elbows back (on the same level) as if pushing the shoulder blades closer together, opening the chest muscles. I like to let it glide more than bounce. My dad played a lot of tennis, and he said it is more important to make all stretching comfortable and keep doing it than to get competitive and make it hurt. My back is just so out of whack. I have gotten into some accidents that have caused issues with my back. Lately I have been doing random neck rolls like I learned in school. Thank you for the opportunity to learn new stretches and for sharing your story. I totally believe in stretching. Thanks for the new ideas and for the giveaway. Thank goodness for chiropractors! Thanks for sharing your story and giving us some great tips! I don’t have any specific stretches that I do..Just generally stretch my back, shoulder and arm muscles once in a while when crocheting.